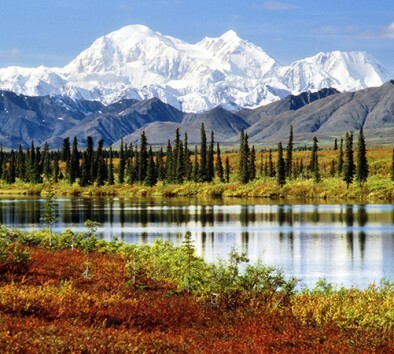 Take home awe-inspiring photographs of Alaska to impress your friends and family! This workshop takes you along the Denali Highway, as featured in National Geographic Traveler, and provides sweeping views and a panoramic setting perfect for capturing the allure of Alaska. Dramatic vistas of Denali, the Alaska Range and the opportunity for wildlife insure optimal conditions to capture your trip of a lifetime. This workshop provides an exclusive, private, small-group photography opportunity which guarantees a 4:1 guest/guide ratio. Your expert photographer guide has years of experience in the Denali area and excels at finding the best locations to capture, taking into consideration safety of the group and the seasonal lighting. Learn the best photography techniques such as optimal exposure, use of flash, depth of field, selective focus for better portraits and macro; all while capturing the stunning scenery around you. Enjoy the luxury of being able to locate, stop, compose and capture your photo at a pace that is comfortable for you. Professional tripods are available as well as instruction on how to use polarizing, density, and graduated neutral density filters. Transportation is provided in new full-size crew cab trucks, allowing for easy loading and great photography from the side windows when necessary. Become familiar with your camera and learn techniques that will help you to truly capture the magnificence of Alaska. Maximum weight is 300 lbs. Please be prepared to spend several hours out in the elements. Weather can change drastically and quickly in Denali so please bring an extra layer and a raincoat. Sturdy shoes are recommended. While not strenuous, there is some walking on variable terrain. This trip is suitable for all experience levels. Bring water and a light snack, and don’t forget your camera, lenses, and extra battery!